Palisade is a beautiful blend of natural landscapes with urban design. Located in Miranda, less than 15 minutes from the coast, these luxurious resort-inspired homes will turn every day into a holiday. 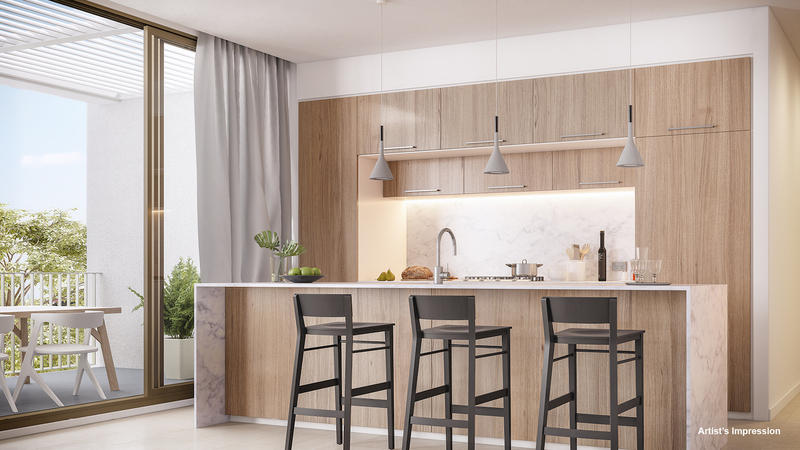 The generously appointed Palisade 1, 2 and 3, bedroom apartments are the result of a collaboration between two expert Architecture firms. KANNFINCH brings over 50 years of industry experience to the innovative team at award-winning Urban Possible. Reflecting the natural beauty of the surrounds, Palisade interiors have been crafted by Neil Bradford Design to emulate the feeling of a coastal retreat. 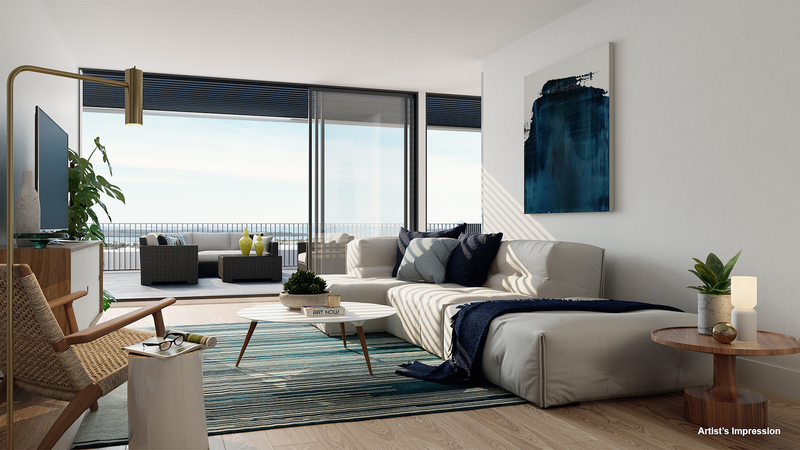 Living areas fill with natural light through floor to ceiling windows, and the fluid, open layout means you can open the terrace doors and let in the warm coastal breezes. Invite friends over for a seamless cooking experience in your entertainer’s kitchen. Prepare ingredients on marble inspired Caesarstone benchtops and use Smeg smart appliances for a quick and easy clean up. Retire with your guests to dine alfresco so you can relax and unwind against a backdrop of lush subtropical landscapes and swaying palms. 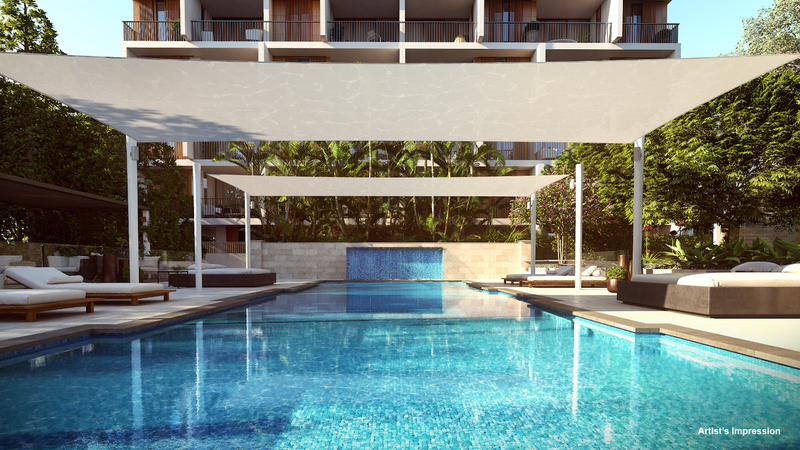 Your resort-style living is complete with a residents-only Clubhouse, designed to be an oasis of relaxation — a space to reconnect with nature and meet your new neighbours. Swim laps in the sparkling blue swimming pool, or work on your fitness in the private gym equipped with modern high-end exercise machines. You could forget exercise completely and simply enjoy your new coastal surrounds as you relax in elegant day lounges — choose to live life at your own pace at Palisade. 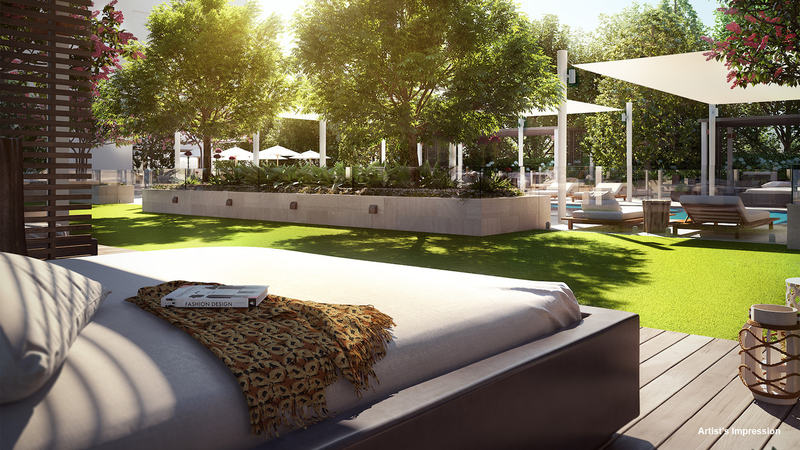 At Miranda, you will live in the heart of a cosmopolitan-inspired city hub. Westfield Miranda, a three level galleria of fashion, will be 200 metres from your Palisade doorstep. Redeveloped in 2014, Westfield Miranda is now the largest shopping centre in Sydney South with a gourmet food market, rooftop dining precinct, and 10 screen cinema complex. On the rare occasion that you can’t find what you need at Westfield Miranda, Cronulla is less than 10 minutes away with boutique beachside outlets and breezy cafes. Palisade is conveniently located near prestigious schools like Miranda Public School, Our Lady Star of the Sea Catholic School and Port Hacking High School. With so many offerings, your family will be close to nearby beaches and quality education. Students will be able to visit the beach after school and frolic in the seaspray, collect seashells and learn about the natural environment. The Miranda train station is an easy 300 metres away from your front door, and provides you with access to a broad range of lifestyle amenities in surrounding areas. Travel to Port Hacking to spend the day fishing, or visit the many beaches within the Royal National Park. In winter, follow the Shire Whale Trail to watch as the majestic mammals migrate to warmer waters and you might be lucky to see a breaching Humpback whale or a southern right’s head crest the water. At Palisade, you can do all these things or retreat to your tranquil heaven. However you choose to spend your time, you will spend it effortlessly at your new resort-inspired, luxurious home and residential address. 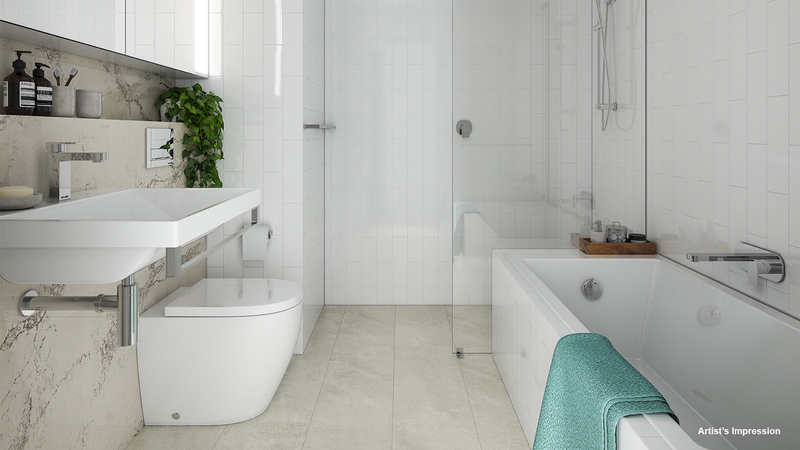 Enquire here to find out more about Palisade, Miranda.